Welcome To Cadmap Utility Surveying . Ground Penetrating Radar (GPR) Survey, Drainage Surveys and CCTV Drainage Condition Surveys in London and South UK. Utility Mapping Surveys to produce PAS 128 compliant plans. London based Underground Utility Surveyors specialising in GPR (Ground Penetrating Radar) surveys, Radio Detection Scanning, Drainage Surveys and CCTV Drainage Condition Surveys. Cadmap Utility Surveying is a highly professional Underground Utility Surveyors, we specialise in the mapping of underground services accurately on the ground to show a full representation of existing services running through the potential development site or highways. To locate the position of underground services and pipes is critical before any excavation work begins, to avoid a potential disaster. Undertaking an Underground services report gives you the vital information required to avoid such problems. 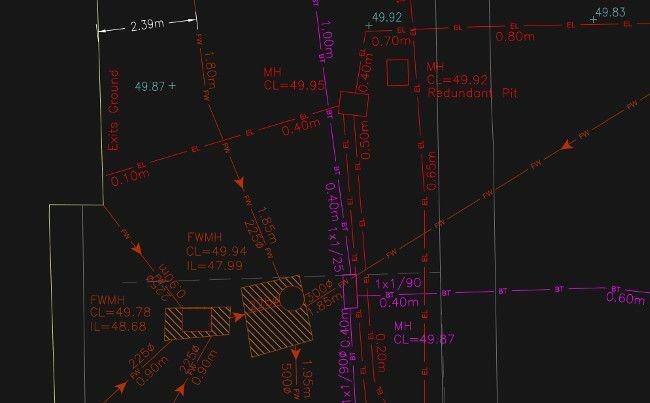 All services located and mapping accurately plotted onto a CAD drawing using Leica Total stations and can be delivered in a variety of file formats. Cadmap Underground Surveying professional staff operate the latest in Ground Penetrating Radar technology such as the IDS Detector Duo and Radio Detection RD8000. CCTV Surveys are carried out operating the MiniCam Solo Pro 60 Meter Drain Camera and Wincan V8. For more information on our (GPR) ground Penetrating radar surveys and utility tracing services, please call our London office on 0208 1111 221 or Surrey office on 01483 666795.